I love holidays. Sometimes it feels like I just jump from holiday to holiday and I think that is because it is fun to have a theme for crafting and creating! Easter is one of my favorite holidays with toddlers! Over the next two weeks we'll be sharing some of our favorite Easter crafts and activities for toddlers. I've already post some favorite egg crafts and activities and some cool bunny crafts and activities, so make sure to check them out. 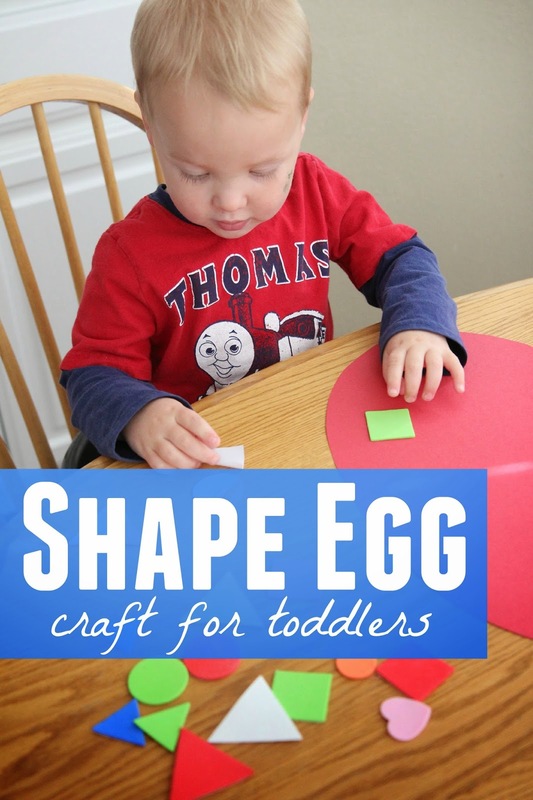 Today I'm sharing a simple shape egg craft which is perfect for little ones that like to explore shapes. You can add sparkles or other things to the egg if you want as well! 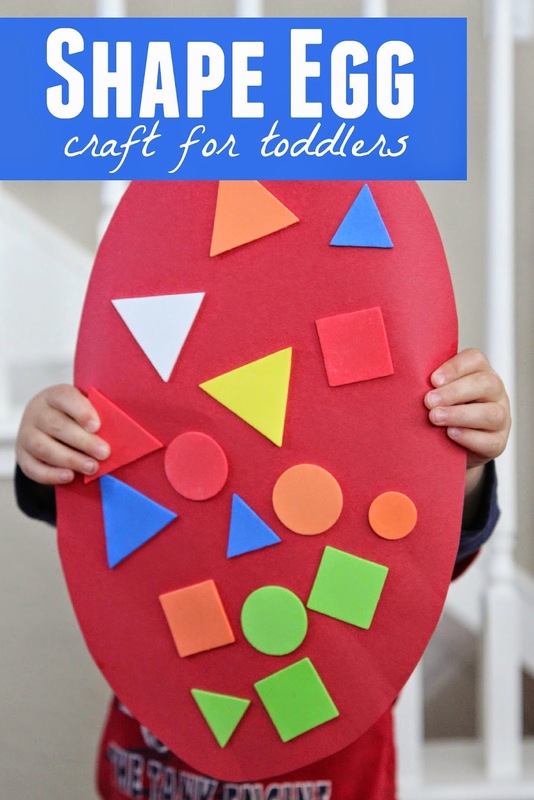 Stick the foam shapes on the construction paper egg! Easy peasy right? To help the toddler have a little bit of independence I helped peel off part of the backing on the foam stickers. This way my son able to pull off the backings of the stickers and then stick them on the big egg independently. Once all of the shapes were put on the egg we were done! Prior to finishing the activity my son practiced the names of each shape and we talked about their colors too! Overall the activitiy was short, simple, and fun! My favorite sort of activity! Do you have any other favorite Egg crafts we can check out?